Serenity Now: What's Going On...with Me. And the Blog. I hesitated to write this post. I started to write it a few times, and then put it aside. But then I realized that some of you have probably wondered why the blog slowed down with creative posts this Spring, and some of you were curious when I mentioned in the pregnancy announcement that this time hasn't been an easy ride. I took "the test" a whole week earlier than I did with either of my girls. My sister convinced me to, even though things were only a day late. I was a little surprised to see a "positive," but also excited. I made my first appointment at my OBGYN's office, marked it on my calendar, and started the waiting game. I ended up having to take Michaela Byrd with me to the appointment. I didn't worry too much about it. She's only five and (going for complete honesty here) not the most observant child. She brought a book and a stuffed toy, and I knew we'd be good. I told T not to worry about coming. It's my third time, after all. I knew the drill. Natalie, on the other hand, would have been on it. "Why are we here? We haven't been here before. Why are there pictures of babies everywhere? Are you sick? Who is that doctor? What is she doing? Why are you wearing that gown?" and so on. Needless to say, I was happy it was a school morning so I didn't have to field questions from Sherlock Holmes Jr. The first part of the visit went really well. The test they had me retake showed I was definitely pregnant, and we talked about my history of c-sections, etc. Then my doc said I could go ahead and get an internal ultrasound (never fun) to check things out and see the heartbeat, since it was way too early to hear it. This began the awkward part. I explained to Michaela Byrd that the lady would be taking pictures of "my tummy" and that she should turn towards the wall and DO NOT TURN AROUND. Sorry, but I didn't think my five year old needed a visual of my internal ultrasound seared into her brain. She happily agreed and faced the wall, asking every couple of minutes if I was doing okay. It was really sweet and probably what got me through the next part. I knew what things were supposed to look like. I also knew that ultrasound techs are typically smiling and cheerful, pointing out exciting things like placenta and yolk sac and heartbeats. Mine stared stony faced at the screen and would. not. look. at. my. face. She didn't say a word when Byrdie asked, "How did Mommy do?" We were ushered back into an exam room and told to wait. When my doctor came in, she was very sweet and encouraging and questioned my dates, which I was sure of. Then she showed me the ultrasound pic on her laptop and kindly said, in so many words, that they just weren't seeing what they should be seeing for someone at my stage of pregnancy (I think I was about 7 and 1/2 weeks or so along). There wasn't anything in the yolk sac. I got blood work done twice to check my hormone levels, and spent a week feeling pretty much empty. I didn't want to talk. To anyone. I did. not. feel. like. blogging. But I had an article due and I also didn't want to have to go explaining things to readers. So I plugged along for a week, feeling angry that I was so sick and tired but had nothing to show for it. They had told me to be hopeful before my next ultrasound, but the underlying warning was that I should be prepared. I felt awful that I couldn't tell my girls why Mommy was so tired and cranky. I felt bad that I snapped at T so often. But I was also ticked that he didn't understand what I was going through. Couldn't understand. This was something I couldn't control. Couldn't fix. I had two friends I trusted enough to talk to, and they helped me calm down. I drove to the next appointment alone. Someone needed to take Byrdie to preschool, so I made T do it, and I didn't want our parents to know what was going on. I also wanted to be angry and sullen and bitter by myself. I sat in the car before heading in to the office and fiercely told God that I was ready to go in and take a pill or get a procedure done or whatever it is they do when your baby stops growing inside you. I clenched my fists and told Him that if He decided to change things up, then I would know it was all Him. I couldn't make it happen. It would be on Him. But I didn't really mean it. I was just ready to go in and take care of things. Imagine my huge surprise a half an hour later when the (same) ultrasound tech beamed and said, "Look! There's your baby!" and flipped the switch so I could hear the heartbeat. I'm pretty sure they could hear me in the waiting room when I yelled, "What?!" I was floored. The ultrasound tech said something about the other ultrasound having been possibly too early to detect anything and something about a tilted uterus, blah blah blah. I wasn't really listening. Inside, despite the hard, crusty wall I'd slapped together around my heart, I felt very much like the girls did when we finally told them about their new sibling. And that's where the whole blog thing comes in. If you've been pregnant before, you'll know what I'm talking about. If not, consider this your intro. I don't know if it's because it's the third baby or because I'm not 24 anymore, but I have never been so exhausted before in my entire life. For weeks, it took everything I had to get the girls to school and dance, take the dogs out, and maybe cook some dinner. Blogging was a necessary evil for a time there. I wanted to keep the site updated and keep my traffic up, but I could barely come up with a round-up post, much less a new recipe or fun creative project. So the blog just sort of coasted along for awhile. Now that I'm feeling better (I'll be 18 weeks tomorrow! ), I can tackle some projects again. I shared about cleaning out stuff earlier this week, and I'm planning some more home projects. I miss being creative, so I'm hoping to do some crafts soon too. I have a huge home project coming up, so I hope you'll stay tuned. You may have noticed weekends are different here. I used to share Features from the link party on Saturdays and Sundays, but I had to call it quits. Those posts take an hour or more each to put together, and were just plain stressing me out. I moved all the Features to Monday, and while it takes away from a regular day of posting, I'm not feeling guilty for spending weekend time on the computer instead of with the fam. I know this post has reached an epic length, so I'll draw to a close. I just wanted you to know that while creativity slowed down here for awhile, I plan on revving it back up. I appreciate your understanding. I've always enjoyed sharing about my family and home life here, so I'll keep that up without driving you all nuts with weekly pregnancy updates and constant belly shots (blech). More than anything, I try to keep it real with my readers...which is why you should tune in next Tuesday for a supremely embarrassing house post that I'm sharing as part of a new campaign, but hope some of you can relate to. Oh Amanda! I'm so thankful that you and your little one are okay. PLEASE don't feel guilty at all for taking the time you need to take. I'm a firm believer that readers will be there when you are "back." Having come through the pregnancy/newborn phase in the last 2 years, I get it. Totally. Poor baby! (Not the baby in your tummy--YOU!) I don't know about you, but even though I'm almost 50 years old, sometimes I still need someone to say, "Poor baby," just so I know they understand my situation. So now I extend that to you. My "babies" are now 22, 20, and 16, but I can still remember so very well that feeling of hardly being able to hold my head up, much less get everything done. There's nothing else like that completely overwhelming early-pregnancy fatigue. Couple that with such an emotional roller coaster as you went through, and it's a wonder you could do anything! If we're completely honest, I think most of us go through seasons when blogging feels like it's just beyond us. You've done a truly admirable job of keeping things going around here even when you felt terrible. So glad to hear you're feeling better now! Now I'm eager to know--what's the big project coming up? Oh I am so glad to read such a beautiful ending to your story! It is so hard and husbands really don't understand how attached we feel to our baby no matter how early it is. We love that little baby no matter what stage, right?! And I'm so happy for you!! Congrats! I had a miscarriage when my daughter was 3. We had already told my parents and in-laws about the pregnancy, and when it happened, I spent a lot of time in bed, crying, with my oldest (then 3), patting my back and asking what was wrong with mommy. But then, two months later, I became pregnant…and we discovered about 4 months after the miscarriage that we were having twins! I had an awful time connecting to the babies while they were in the womb because I was so scared that I was going to lose them because it was an extremely dangerous pregnancy (which turned out fine in the end). I tell all of you this so you know that your readers understand the fear and horror that you felt, and the amazing relief and joy that follows. I, for one, am amazed that you managed to do any blogging during that first trimester—I certainly wouldn’t have been able to! Take care of yourself and your little ones. The blog will still be there when you are able. Thank God you and your baby are alright! I think I held my breath reading your post until I got to that part. I'm glad you're feeling better too. Maybe this pregnancy is different because you're going to have a boy? Take care of yourself and enjoy this time with your family. Wow! What a crazy overwhelming situation! I'm glad everything is good now and once again, CONGRATULATIONS on your pregnancy. By the way, you do not need to apologize to anyone, this is your life and your family and they come first! So glad you and your little one are doing alright! God bless you both with a safe and happy delivery. 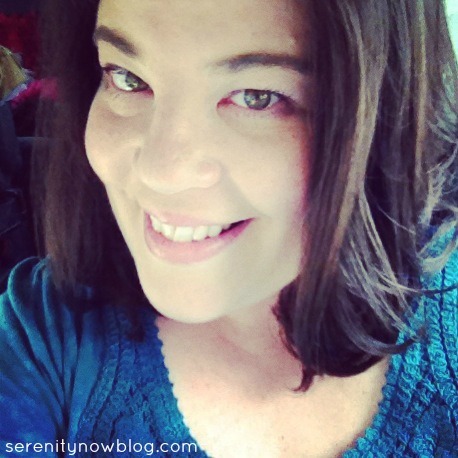 About the blog, don't sweat it! Even if things slow down for a while here, we ain't going nowhere! :) I'll just read all your awesome stuff from before. You can rev it up when you feel like it :) Much love and prayers your way. Anyhoo, I'm sorry you had to go through this stress but am glad you are doing well and most importantly, baby is doing well. So glad to hear you are feeling better...physically and mentally. Also glad you are able to slow down and take time to focus on what's most important...your health and your family! You have had a time of it girlfriend! So glad you posted about your experience. Now we can all be praying for you, and your need for rest, strength and encouragement. Well first I give you a great big HUG! Then I say,......congrats!!! I'm so glad you and baby are doing well. God is good! I'm 26 weeks along with our first (!!!) and I can only imagine how I would have reacted if I had thought everything was fine and then suddenly it wasn't. Oh I am so glad that everything is turning out right for you. I also have a tilted uterus. I was 39 when I got pregnant with my daughter Emily. I know how you feel about being exhausted! Take care of yourself. I do believe in the power of prayer. It helped with my own daughter. She is almost 11 now and we just found out that she has Autisim. Thank you for sharing this story with us. I know all too well what it's like to sit in a quiet ultrasound exam. My story turned out different as I hope you will read on my blog when you get a chance. I think it's ok for you to change youf posting schedule to work with the life of your family. That's the beauty of having your own blog. I have been blessed by your story and encouraged by your transparancy. (((Amanda))) So glad everything is ok with the little peanut. Hope you are feeling better very soon. I'm so glad everything turned out okay for you. Thanks for sharing your experience, Amanda. Good luck with the rest of your pregnancy! I had such a similar experience. My third pregnancy, two boys already. 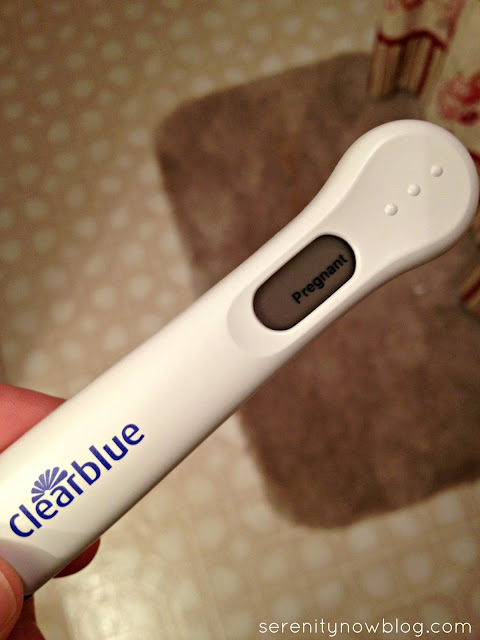 Positive pregnancy test and a trip to the doctor that ended in heartbreak. I was told that I could wait for the nature to take its course or opt for a procedure. It was three weeks before Christmas, so we opted for the procedure. Fortunately we were blessed 4 months later with a healthy pregnancy, but I was so tired that when I went to the doctor I told him something was terribly wrong, he politely said I had two other children at home and was over 30! Remembering you in my prayers! Oh by the way number three was a girl! You poor thing, what a stressful time you've had. I'm glad that in the end everything turned out ok and I'm glad that you now are feeling better. It must be so tough to have to take care of two kids when you are so fatigued. I'm looking forward to hearing more about what your plans are for the nursery for the baby. I am so happy for you and praying all goes well. Congrats!! Congratulations Amanda! Thanks for sharing your story. I was holding my breath reading this. I had a similar experience and I remember the exact feelings you described. That kiddo is 13 now! Sending you lots of pregger love, Amanda! I'm so happy to hear you and the baby are doing well! Thank you for sharing your story! I can only imagine how difficult it was to hit "publish" and share such an emotional experience with us, but hopefully it was therapeutic too :-) Wishing you and your family the best! So glad you are both doing well! Hopefully the exhaustion lessens a bit soon! Oh gosh Amanda, I am so sorry you had to go through that. I know how heartbreaking it is to lose a pregnancy (or in this case to think you might) and I hate that you had to go through that roller coaster of emotions. I'm so happy there was a positive outcome and I can't wait to hear all about this exciting journey! Good luck with everything! I'm so glad everything turned out great! I am in my 37th week of a pregnancy that has been full of scares. I too am finally relieved--and very happy. We'll welcome a healthy baby girl into our family soon! Hope the rest of your pregnancy's a breeze. Congrats! Well, looks like I've been out of the blog world loop. First, and most importantly, CONGRATULATIONS!!! I'm so excited for you. And second, huge hugs and a big sorry you had to go through a scare like that. I hope the rest of your pregancy goes smoothly and can't wait to meet your newest family member. xxxooo.